Are you finally done dealing with your annoying coworker? Is your aunt bugging you with her cat photos? No worries! Here’s how to block someone on Google Hangouts. Especially if you are managing multiple instances of Google Hangouts in Shift, those bothersome messages can add up quick! Just make sure that you are blocking the individual from all of the Google accounts you don’t want to see them pop up. Although there is a kind of guilt some of us get when it comes to blocking people on any platform. What if they’re notified that they’ve been blocked? Well like we covered on blocking someone on LinkedIn, they won’t have any idea! 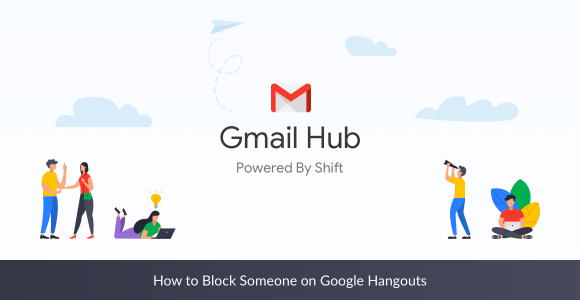 Did you know you can block and unblock somebody on Google Hangouts without them knowing you’ve done either? Surprise. Can you sleep better now? If you found this and the LinkedIn post interesting, you might also want to learn how to block someone(probably the same person) on Facebook. Are you only blocking these individuals temporarily to eliminate distractions? If that’s the case, you might find our distraction management guide handy!